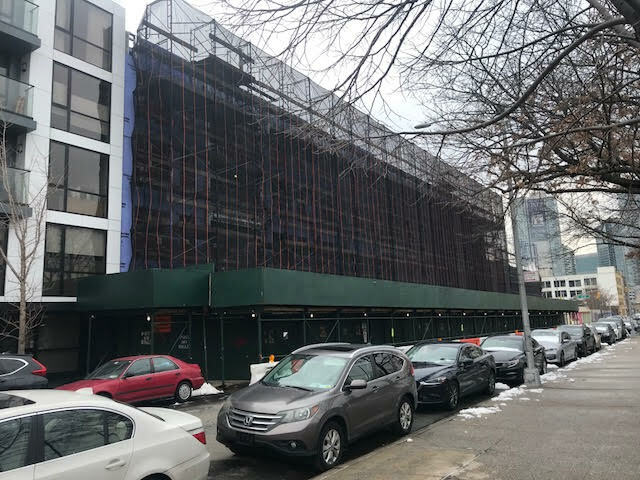 We last checked in on 11-22 45th Road a/k/a 11-06 45th Road back in January when facade work was revealed on the south side of the buildings.1 When we stopped by last week, we saw that construction on the north side is starting to catch up, with construction crews putting up pipe scaffolding, as seen in the photo below. 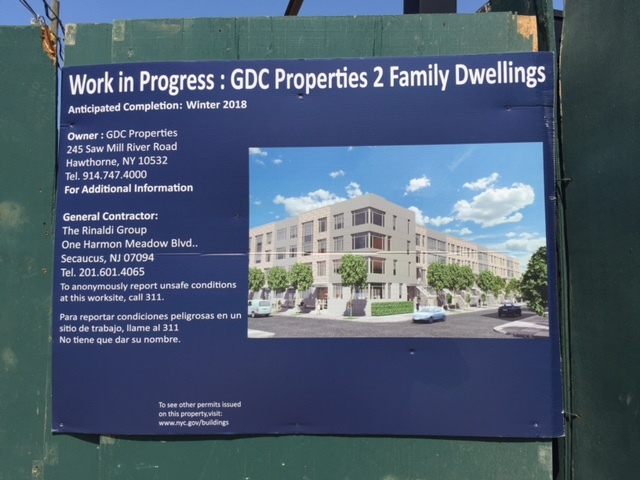 Plans were filed on Friday for 12 two-family townhouses at 45-35 11th Street, a couple blocks from the Court Square subway stop. They’ll replace a series of one- and two-story factory buildings that stretch from 46th Avenue to 45th Road and occupy roughly half the block between 11th Street and 21st Street. Every four-story home will have a cellar and a duplex on the first two floors, topped by a triplex. The construction floor area of each house will be 4,470 square feet, according to permits, and the whole development will span 140,272 square feet.